MusicFest offers an amazing opportunity for students to benefit from the festival. To help with the tuition fees a charity was registered in the name of ‘Friends of MusicFest, Aberystwyth’ in 2007. This raises money for bursaries from various trusts and foundations with the help of many generous individuals whose donations are especially important to MusicFest. 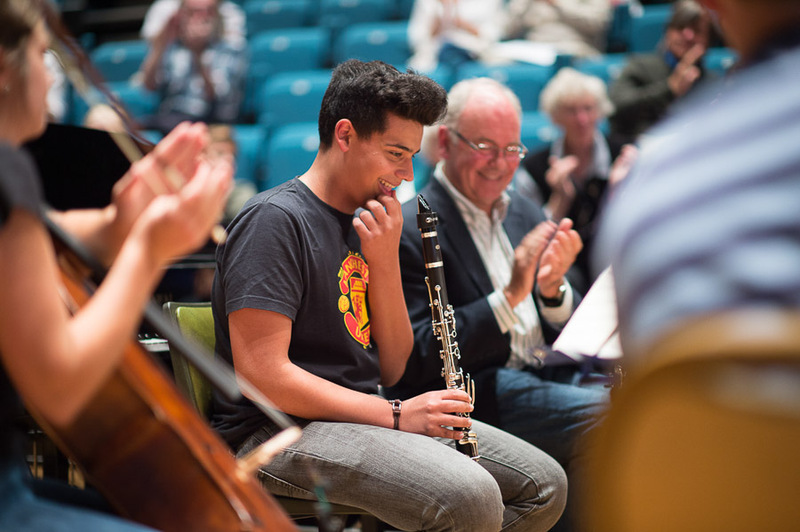 These funds assist students, which includes many local youngsters, who would otherwise be unable to attend the event which is so advantageous to their musical knowledge and in many cases their future careers. As MusicFest grows year by year Aberystwyth is increasingly put on the musical map in Wales and beyond. We are indeed privileged to have such an event in locally. However, as the event grows annually the demands for bursaries increase as students, and their parents, find it difficult financially. It was absolutely brilliant (again! ), it was my 3rd MusicFest and I have every intention of returning! The concerts were fantastic, and the artists and tutors were truly inspirational. I really enjoyed the MusicFest! And I’d love to come again next year! Maybe I’ll even be able to convince my little brother to come with me. Thank you very much for the bursary. It enabled me to take part in the course and I thought it was brilliant. I enjoyed the teaching and feel I learnt a great deal. I also enjoyed meeting other students. It has spurred me on to improve my playing. ..she thoroughly enjoyed MusicFest and got an awful lot from it. I know she would be keen to come next year and a bursary would certainly help!